Tomorrow we celebrate Eric’s 32nd birthday! We thought we would flashback to one of Eric’s birthdays a long time back. 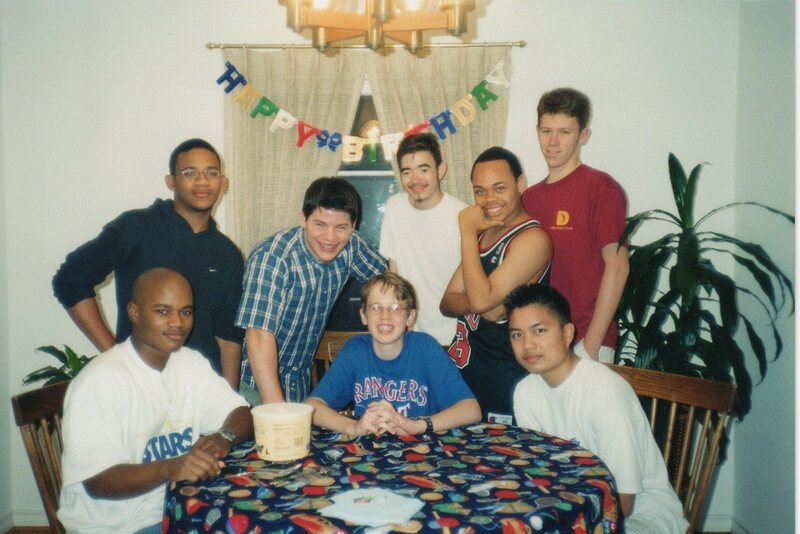 This picture is from his party 2001 with the Dallas crew of friends. This was his senior year of highschool.